Does cousin Jean have any business management skills? Why do do give someone who has no experience managing a business your money, your inventory, and your trust thinking he is going to start, run and manage your business for you? And you think because cousin Jean is honest, he will run your business and it will grow like corn in a garden? How are you going to pick a family member who has never seen or touched a large sum money before, and suddenly, you give him a business to run where they are suddenly counting tens of thousands of gourdes everyday, and you think honesty is enough to keep this person in check? Ever heard of the word temptation? Think about this my friend, there are many people in Haiti who can't even manage a mango tree. How do expect them to manage a business for you when you are in the United States and they have all the power in the world to do whatever they wish with your money? 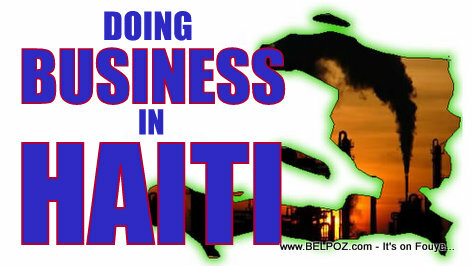 A friend of mine in a high place in Haiti told me that our country has a serious human resources problem. Everybody in Haiti tell you "oh yeah, don't worry we'll take care of it for you" but in reality, they can't help anybody but themselves. I am not saying you shouldn't trust your family or your friend for that matter. All I am saying is, when it comes to business, you have to pick a good manager, not just cousin Jean. Have you had any experience with what we are talking about here? « I am having Low Back Pain, am I getting old? Is it age related? Zafè Biznis: Anpil Haitien nan Diaspora ap plenyen fanmi k ap jere biznis pou yo en Haiti mete biznis la atè plat. Yon kesyon: Ki eksperyans fanmi w lan genyen nan zafè bisnis? Ou pran yon moun ki pa janm konte plis ke 200 goud tout lavi li, yon moun pa konnen je pete nan fey patat nan zafè Biznis, epi ou bali yon biznis pou l jere? Epi ou panse tout bagay pwal pase byen?